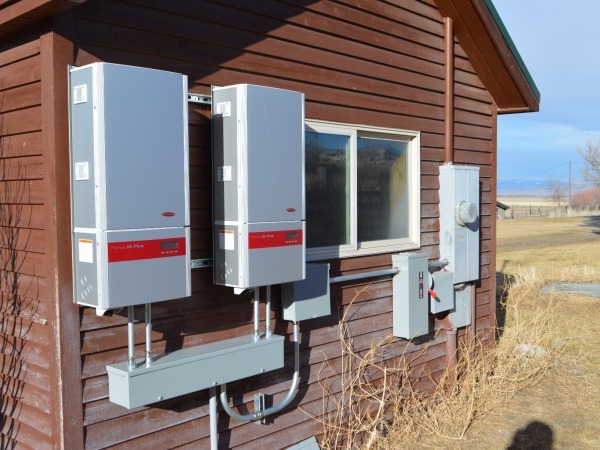 This homeowner installed her solar system because she felt that it was the ecologically responsible thing to do, and she wanted to take advantage of the valuable resource that is 300+ days of sun a year in Three Forks. She has long been an advocate for environmental sustainability, and she stated that by installing a solar array of this size that she was ‘putting her money where her mouth is’. The property was formerly a dairy farm, and the energy produced by the solar array will provide 100% of the collective annual load of the 2 houses and the shop building there. 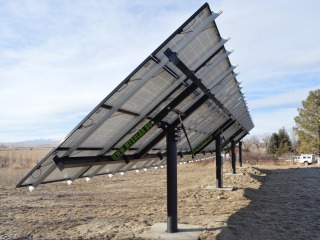 MT Solar's pole-mount technology allows installers to assemble the mounting rack and mount the solar panels at waist level and then hoist them to the top upon completion. This eliminates the need for cranes or other heavy equipment, reducing the time and cost of the installation. "Building the array at ground level, and then easily hoisting it into place, we felt that we had entered a whole new realm after installing racks and panels on ladders for the last decade." The main challenge of this project was the installation of the 4 steel posts in concrete to enable a all 60 modules to be installed in a single, low-profile panel group. The area where the array was installed slopes away to the west so forms had to be installed partially above grade to keep the posts at the same height. And the greater the number of posts that are integrated into the same panel group, the greater the challenge of keeping them all planar with each other. 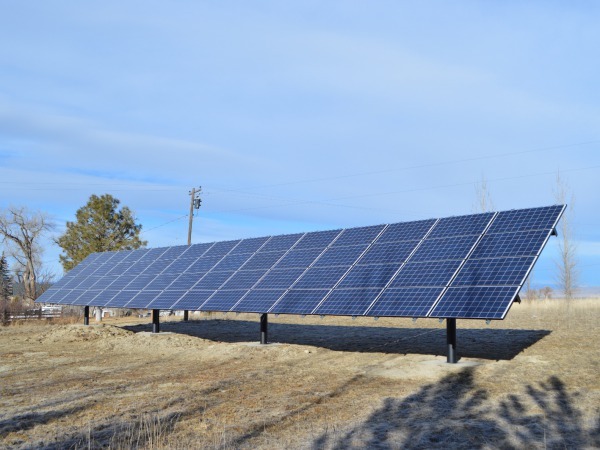 Leandra Hill installed her solar array with the help of a loan from the Montana Department of Environmental Quality's Alternative Energy Revolving Loan Program. 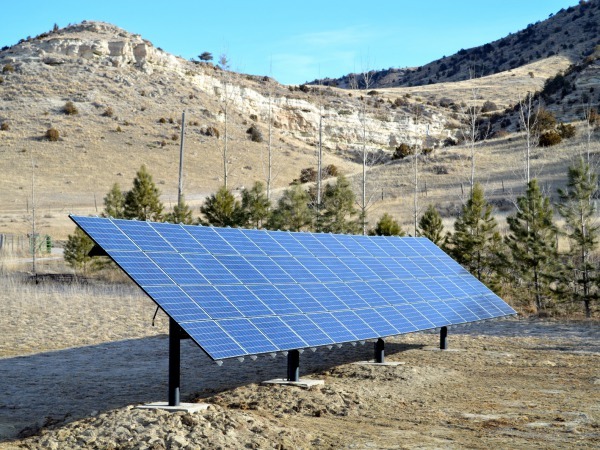 The program makes loans of up to $40,000 at a low interest rate (currently 3.25%) for the installation of alternative energy systems including solar, wind, micro-hydropower, biomass, and ground-source heat pumps. 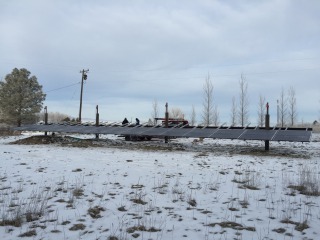 © 2016 OnSite Energy, Inc.